A New Trend in Indian Market to rent out and rent in any item and service which you think you can. India is touching almost 1.3 Billion Population and more than 65% of our Population is in the earning group of Lower Mid to higher mid level income groups. Most of the people may not afford to buy everything such as Microwave Oven; which is not a necessity as India is a Warm country but during winters in Northern India it is so difficult to keep your food warm but you may need it. Just take it on rent for 3 Months and enjoy your delicacies. Rent means the first thing comes to your mind is House or Property. But for the First time in India we are breaking this mind set. Now you can rent out anything and also you can take them on rent. 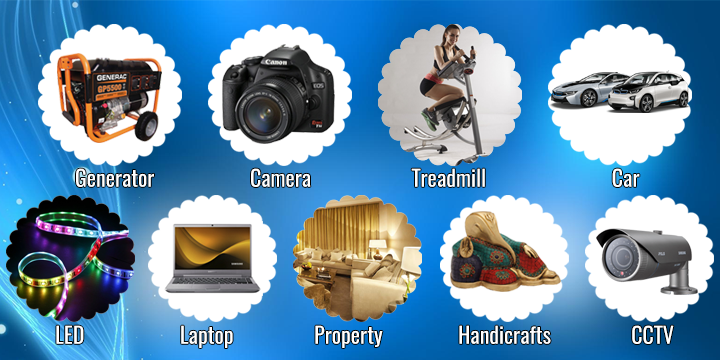 From Electronics like LED TV, Refrigerators, Washing Machines, Home Theatres; Computer, Servers, Laptops, Storage Solutions, Projectors & Screens; Security devices such as metal detectors, CCTV Cameras ; Media Equipment like Film Cameras, High-end Cameras; Health, Fitness and Medical devices like Joggers, treadmills you can rent them. Items like Banquet hall, Generator and Tent for marriages in your family or special event are also available on rent. We Indians have lot of unused items in our home or in some houses we have more than one item which is unused, for e.g Refrigerator, Furniture, Laptop/ Computers, Washing Machines, Micro Wave Ovens or Old Air-conditions why to keep them aside and lock them in the store Room rent them and make regular Monthly income. Why to take it on rent? Change in the global business trends have lot of people moving from one corner of the country to the other corner. Let’s say a Software professional in Bangalore may move to Delhi or National Capital Region for his convenience. Instead of spending on Transport or buying new items you can take them on rent, which will save lot of money for those who take in on rent. The Current ecommerce industry has gone to next level where in people have moved out of Traditional Product selling to Online services which people are looking for such as Drivers, Maids, security Personals and Tattoo Artists , property dealers you name any service there is an online platform which is available. www.rentsewa.com is one unique concept where people can post their products and services and make additional money by giving it on rent. This entry was posted in Business Services and tagged rent, rent services on February 18, 2016 by rentsewa.